HER missions as a practitioner of kathak have been accomplished and her knowledge of the dance form disseminated across the globe. Having kept the promises she made to herself—from laying the foundation of Indian culture in Moscow (where she founded the Jawaharlal Nehru Cultural Centre) to establishing the tradition of dance ballets in Lawrence School, Sanawar — Shakti Bhatnagar Roberts can return to the space of performance. THE madisar, the traditional nine-yard saree, might become extinct if an effort is not made to popularise it among youngsters who find it cumbersome, reports Usha Raman Rama Bharadwajan, 48, a bank employee in Hyderabad, is readying her stock of nine-yard sarees for a special puja before her daughter's wedding. SOHNI kurhi is the Punjabi way of appreciating a comely lass. But the appreciative phrase has been turned into a virtual brand name by a Punjabi artist called Iloosh Judge Ahluwalia, who herself qualifies to be described by this phrase. “WE are just four of us and we do everything," says Leena Chawla, Business director, Kahani, a South Asian literary magazine for children who call America home. 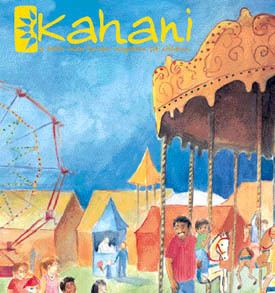 The first of its kind, Kahani is a place where the stories of these children would be told. HER missions as a practitioner of kathak have been accomplished and her knowledge of the dance form disseminated across the globe. Having kept the promises she made to herself—from laying the foundation of Indian culture in Moscow (where she founded the Jawaharlal Nehru Cultural Centre) to establishing the tradition of dance ballets in Lawrence School, Sanawar — Shakti Bhatnagar Roberts can return to the space of performance. She is sure the flame of culture she has lit will glow. A former dance mistress of Lawrence School, Sanawar, Shakti has been most constructive in her role as a choreographer. After passing out from the Natya Institute of Choreography, she concentrated on interpreting Indian mythological texts, for which she used kathak as a tool. Her knowledge of Bharatnatyam and Odissi was an added advantage. She could create aesthetically sound productions with admirable ease. 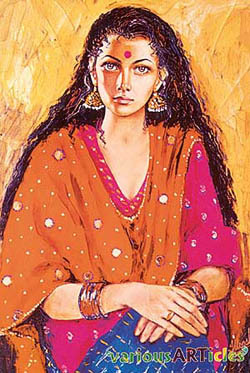 Among her best have been Ramayana, Meghdoot, Charumitra, Meera, Shakuntala and Amrapali. Most of these choreographies took birth on foreign soils. First in Fiji, where Shakti was posted as a dance teacher and performer under the aegis of the Indian Council for Cultural Relations and later in Moscow where she faced the challenge of establishing the Jawaharlal Nehru Cultural Centre. Of the many literary texts that she researched for the purpose of choreography, Jayshankar Prasad’s Kamayani was incredibly challenging, given the complexity of emotions captured in the piece. Tagore’s Abhisaar was truly elevating while Divya Shakti, a ballet that reconstructed the indomitable Laxmi Bai in the language of kathak, was most rewarding. Presented on the founder’s of Lawrence School, Sanawar in 2002, Vasudhaiv Kutumbakam, another of Shakti’s productions, drew a standing ovation as it brought together 50 students who paid a lyrical tribute to peace. THE madisar, the traditional nine-yard saree, might become extinct if an effort is not made to popularise it among youngsters who find it cumbersome, reports Usha Raman Rama Bharadwajan, 48, a bank employee in Hyderabad, is readying her stock of nine-yard sarees for a special puja before her daughter's wedding. Tradition demands that each of the six women who will assist her in the puja wear the nine-yard madisar. Grumbling about the discomfort of wrapping the cumbersome yardage around their resistant limbs, the women nevertheless acquiesce, in deference to tradition and succumbing to their belief that things must be done "the right way". The "right way", in most orthodox Tamil Brahmin households, dictates that for important ceremonies - like weddings and death anniversarees - the woman of the house must wear the nine-yard saree draped in the complex manner that has been handed down through generations. The man, too, is expected to wear the equally complex panchagatcham - five-pleated dhoti. Until a few decades ago, the beautiful madisar was obligatory wear for all married women, all the time, just as the panchagatcham was worn by all married men. "It is still considered a social mark of marriage," says Rajam Venkatraman, 78, a homemaker from Chennai and an avid follower of religious traditions. Even today, the Tamil Brahmin bride customarily wears a red koorai, a silk nine-yard saree, that she ties for the first time with the help of her sister-in-law just before the kanya daanam. The madisar is not just a garment or a style. "The madisar has both symbolic and practical meaning," says Seetha Anand, a young educator from Hyderabad, who says she "loves the look of the madisar—when worn well, it is so flattering". The nine yards of the saree function as the all-inclusive garment. It is worn without a petticoat or underskirt— unlike the normal six-yard saree - and, if wrapped properly, requires no other undergarment or upper garment (such as a blouse). "With one of the folds pulled through between the legs (and tucked into the back on the belt), the style fulfils the requirements of modesty and protection," says Anand. The trouser-like style also made it easy to work and move around in. In fact, the tradition of a nine-yard saree was prevalent in many other Indian states like Maharashtra and Karnataka. History even mentions several women soldiers draped in a nine-yard saree going to war. Women like Jhansi's Queen Laxmibai fought enemy troops on horseback, wearing a nine-yard saree. However, the sari is not an easy garment to wear. "It's good exercise every morning, because you have to bend, twist around, move your arms every which way...it is a good 10-minute workout!" laughs Venkatraman. The complex manner in which it is tied makes it difficult to learn, and the length of the sari makes it difficult to maintain - both factors that have contributed to the madisar's decline in recent times. Fewer and fewer young people know how to tie the saree without assistance. In fact, you don't see the madisar much these days - not unless you walk the streets of Panagal Park and Mylapore in Chennai, or perhaps in the smaller temple towns of Tamil Nadu. A few enterprising retailers in Chennai have introduced "ready-to-wear" madisars, complete with stitched pleats, hooks and belt, "mainly to cater to the tradition-conscious NRI market," says one observer. These have not really taken off, and hardly any of the mainline sari shops carry them. Nalli, one of Chennai's most popular saree shops, once did brisk business in nine-yard sarees all year round. "Now, sales are mainly restricted to the marriage season and festivals like Divali," says Jaganmohan, the manager of the Hyderabad branch of Nalli. The nine-yard sarees that are popular in the south come mainly from Kancheepuram and Arni, from special looms earmarked for the purpose. "There is some trade in such sarees in Maharashtra and Karnataka, but the majority of buyers are still Tamil Brahmins," adds Jaganmohan. "But overall, yes, I suppose we sell fewer nine-yard sarees today than we did 10 or 15 years ago." As Bharadwajan's relatives prepare for the marriage ceremony, most of them will need help wearing the saree today. Most will not be able to pass on the art of wearing it to the next generation... The future of the madisar seems bleak. Educated at Lawrence School, Sanawar, and wife of an Army officer, Iloosh in her seven-year career in the art mart of Delhi is a Page three celebrity and a favourite with shutterbugs. Gifted with a very good hand, she portrays beautiful girls on canvas in imagined portraits. Her sohni kurhis who resemble her a bit have been a big hit with buyers who wish to have art in their homes which is easy on the eye and not too heavy on the mind. Her shows, at least two a year, are always a sell-out. Her beautiful girls on canvas painted with a flourish, using the palette knife, have worked very well with non-resident Punjabi buyers in London town. In an exclusive interview, Leena says, "We started the magazine because we wanted our kids to read stories in which the main protagoaists had familiar names, who looked like them and had the same experiences they had - grandma who visits from India and wears a sari, dosas for snack, bharatnatyam classes along with ballet classes, long trips to India during the summer vacation. Its empowering for our kids who are a racial minority here to read a story and think, "Wow! There are 10,000 other kids just like me!" The magazine is a joint venture of four enterprising Indian women in the United States. Monika Jain, the Editor, is an award-winning journalist who grew up in Japan. She relocated to New York where she produced a documentary series for Japan's NHK television and even won the Best Director award for the same. Leena Chawla, the Business Director, is a management consultant who worked for companies like CSC Index and Waite & Company. Rameeta Khurana, the Technology/ Operations Director, an IT professional, specialising in software applications development. She has worked with companies like HCL India and Sybase. Radhika Ramdev, the Creative Director, is a graphic designer who has worked with diverse group of clients like Harvard University, the Scotts Company and the US Marine Corps. The magazine happened when Monika, Leena and Radhika got together to start a playgroup for their children. As the talk turned to professions, Monika discussed her idea about the magazine. Her inspiration, in turn, came from her nine-year-old daughter Sejal and the child's attempt to seek a parellel between her and Francine and DW of Arthur. The idea clicked. With Rameeta also joining in, the group found that much of the expertise was available in-house. So while cradling babies in one hand, as they put it, the women jostled with numbers on the spreadsheet. They made a business plan, surveyed the market, and roped in support from various quarters. Billionaire Gururaj 'Desh' Deshpande is on the Kahani business advisory board. Editorial advice came from Nancy Gruver, founder of New Moon, novel-writer Uma Krishnaswami, and graphic designer Lisa Diercks, a professor at Emerson College, Boston. After one year of research, the magazine was launched in Boston, New York and Fremont on August 15, 2004, where friends and family of the Kahani team sold it for $1 each, primarily to introduce it to readers. The regular cost of subscription is $29 for one year and $50 for two years. Besides the printed magazine, they also have a website www.kahani.com. Leena says, "The website just supports the print magazine right now, but we are soon going to add a lot of interactive content for our young readers." Four of them jointly put it, "The goal of our magazine is to reflect the experience of our children as they grow up here, and to develop in them a sense of pride in their rich cultural heritage and values. We want to present literature for our children that reflects their multicultural experience growing up here. Another goal is to provide a platform to showcase the tremendous talent of South Asian writers and illustrators for children's literature." On being asked what sets apart their magazine amongst a host of others, Leena says, "I think the reason our magazine stands out is because unlike a lot of other publications, it has no ads, is written in excellent English, beautifully illustrated in four colours and printed on excellent quality paper. Kahani will adhere to a strict secular and nonpartisan editorial policy. There will be no ads in the body of the magazine, but we may sell limited space in the back." A magazine that would take no ads! Strange, but true. Then how do they thrive with the business? Well, Leena fondly says, "The four of us earn no salaries. This is a labour of love." "I'm sure Tribune readers have many family members in the US who would like to know about a children's magazine especially created for their kids," she concludes.